Zambia injected raison d'etre into a sorry world that views international football with increasing apathy when they won the Cup of Nations last year, and they're now back to defend their title. Part of the joy for Zambians is that their photo-finish triumph didn’t come out of the blue. The Chipolopolo (the Copper-headed Bullets) had been running the marathon for six years thanks to the vision of the eminent Kalusha Bwalya; persisting with a studious group of players since the 2006 Cup of Nations, steadily improving tournament-by-tournament, and reaping the rewards for their prudent team-building when and where it mattered most – in Libreville, just miles away from where a plane full of the Zambian national team crashed into the sea in 1993, killing all aboard. Not even a revisionist could deny their happy ending. And their rewards haven’t ceased there. Such is the experience omnipresent in the squad - the studious core are set to play in their fifth consecutive Cup of Nations, and only two of them are over 30 - that it’s difficult to completely dismiss them as one-hit wonders. For many of their players, playing at these tournaments is second nature. Even the youngest player in the squad, Porto’s 19-year-old left-back Emmanuel Mbola, who was in the 2010 Cup of Nations squad, is playing in his second tournament. Zambia aren't prepared to slip away like a pop single on the radio just yet. Eighteen of the twenty-three that were part of the AFCON-winning squad return, and coach Herve Renard still deploys the same starting XI that started in last year’s AFCON final in a 4-4-2 formation, morphing into a 4-2-4 when they spring into attack. 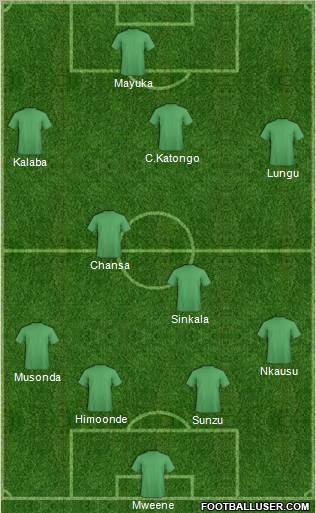 As with last time around, it’s the protean quality in the starting XI that makes the Chipolopolo vehemently venomous. The flexibility of the Zambian players allows Renard to utilise myriad systems, coping with the different questions the opposition poses. Results wise, Zambia’s results have lacked the conviction befitting of champions and have prompted the alarm bells to ring. Since last February, they have lost to Sudan (although it was overturned after Sudan were adjudged to have fielded an ineligible player), South Korea (jet lag was a mitigating circumstance, perhaps), Uganda, Saudi Arabia, Tanzania and Angola. It took penalties in their two-legged play-off qualifier against Uganda, a game in which they were thoroughly outplayed, to qualify. Interestingly, all of Zambia’s defeats have come when they have conceded first. All four of their wins have come with a slender single goal margin. Yet if teams are contemplating the scalp of beating the African champions they’ll still have to work very hard to earn their victory. The defence is not a problem. In goal, Kennedy Mweene remains and is still one of Africa’s better keepers, but his indulgence when it comes to joining in with the play can be fatal. Centre-back duo Stophira Sunzu and Hichani Himoonde have a superb understanding stemming from club level with TP Mazembe, while Davies Nkausu at right-back and the evergreen Joseph Musonda, the man who was carried onto the pitch by Renard, on the left are both unobtrusively reliable performers. The latter, who is 35, may see his place go to the youngster Mbola. It’s Zambia’s attacking game and approach play that may see the ‘Copper-headed Bullets’ alias give way to ‘Cotton-headed Bullets’. Midfielders Isaac Chansa and Nathan Sinkala are trustful foot soldiers, but they offer inadequate poise on the ball. For tactical experts, one of the remarkable statistics to emit from Zambia’s triumph was that they kept the lowest percentage of possession out of any side in the tournament. With Zambia no longer an unknown quantity, teams are likelier to play more cautiously against them and patience in possession could be crucial. Out wide, Chisamba Lungu and Rainford Kalaba will once against be using their flickering flair to open up defences. Fiery skipper Chris Katongo, the player of the tournament at the last Cup of Nations, can play on the wing but usually plays just behind Southampton’s Emmanuel Mayuka. Mayuka is talented striker but his poor work-rate results in him often being berated by Renard to get back onside or press the opposition, bad habits which were glaring in his only league start for Southampton this season. In ex-Pompey man Collins Mbesuma, however, they have a rejuvenated striker who is in insatiable form, a stark contrast to the sluggish striker at the last Cup of Nations. Added quality comes in the form of FC Utrecht striker Jacob Mulenga, who missed last year’s Cup of Nations through injury. Can Zambia retain their title? It’s a tough ask. Renard’s words after Zambia’s triumph last year couldn’t be resonating louder: “We were the best for one tournament but I’m really sure we are not the best team in Africa.” They certainly have a far trickier run to, say, the semi-finals this time around. It’d be silly to rule them out due to their experience but the attacking players need to knit all their work together in the tournament. Renard’s first managerial post came at Cambridge United, where he was sacked after winning just four of 25 games. 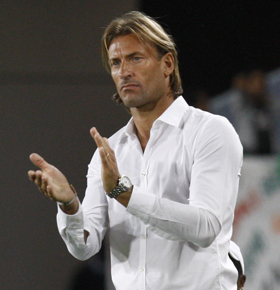 Assistant to Claude Le Roy during Ghana’s 2008 Cup of Nations campaign, Renard places a heavy emphasis on the fitness of his players, so much so that previous sides have impudently considered him a fitness coach rather than an outright football coach. Although popular with his players, he isn’t afraid of imposing some African-father style discipline to his players, even in public. Known as ‘The Master’ to his team-mates, the TP Mazembe winger is arguably the only Zambian attacking player capable of winning the game on his own. His slaloming runs through congested defences will be a much-needed catalyst for the Zambia attack. 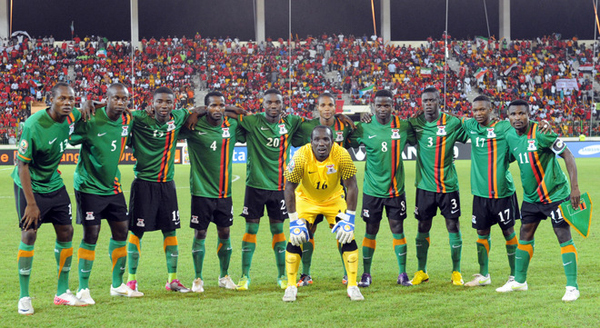 If Zambia are not firing on all cylinders, then Sunzu’s all-round defending could be crucial. The TP Mazembe centre back doesn’t only possess the ability to deliver grandiose performances, but also the ability to contagiously raise the performances of those around him in the process.